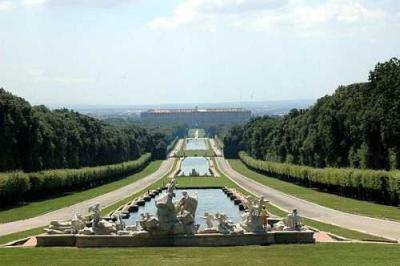 The monumental complex at Caserta, created…to rival Versailles and the Royal Palace in Madrid…brings together a magnificent palace with its park and gardens…[and]…is an eloquent expression of the Enlightenment in material form…whilst cast in the same mould as other 18th century royal establishments, [it] is exceptional for the broad sweep of its design, incorporating not only an imposing palace and park, but also much of the surrounding natural landscape and an ambitious new town laid out according to the urban planning precepts of its time. The industrial complex…designed to produce silk, is also of outstanding interest because of the idealistic principles that underlay its original conception and management. The area around San Leucio came into the possession of the Bourbons of Naples in 1750 and was chosen to be part of Charles’ unusual social experiment, the creation of a new town of San Leucio centering around a silk factory housed in the main building, the Belvedere, an ex-hunting lodge. Acting on the advice of Bernardo Tanucci, the minister of state of the kingdom, Charles sent the youths of the area off to France to learn the silk-making trade. In the meantime, work went forward on the centerpiece of the whole area, the new Royal palace, meant to be the administrative hub of the new city (and, indeed, the entire Kingdom of Naples)—and a physical hub, as well, since the streets would radiate out as arteries for the new city. The construction of the palace was begun in 1752 under the keen eye of one of the greatest Italian architects of the century, Luigi Vanvitelli, who engraved the plans on 16 copper plates. Charles, however, abdicated to return to Spain in 1759, leaving the entire project in the hands of his dimwit son, Ferdinand; fortunately, Ferdinand was a minor and was guided for a number of years by Tanucci, his regent. Work on both Caserta and San Leucio went forward. Vanvitelli died in 1773; his son continued the work until 1780 when construction was halted. It wasn’t quite done, but what there was, was impressive, to say the least: a palace of some 1,200 rooms, two dozen state apartments, and a royal theater modeled after the San Carlo theater in Naples. 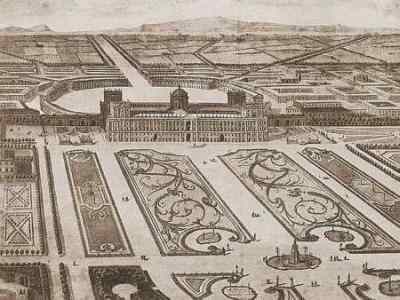 A monumental avenue, 20 kilometers in length, which would have connected the palace to Naples, was never finished. 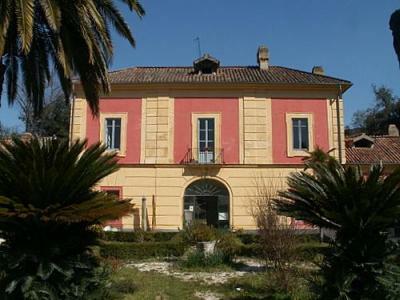 The town, San Leucio, however, progressed. In 1778, based on plans drawn up by architect Francesco Collecini, the Royal Colony of San Leucio came into being. Later statutes from 1789 legislated the existence of the town: each family got a house within the colony; mandatory schooling for both boys and girls was instituted; silk workers put in 11-hour days (less than the 14-hour day common in most places in Europe); the houses within the colony had running water, and health services were provided for the workers. Men and women worked together and were treated equally. Private property was abolished and workers put a portion of their pay into a common fund to provide for the needs of all, including the elderly and the sick. The colony had an elected assembly. In short, it was an attempt to put the philosophy of the Age of Enlightenment into practice. The whole finished project—a utopian town of royal silk weavers living in social harmony in the new city centered on the new Royal Palace wherein resided the Platonic benevolent monarch—never quite made it. Tanucci went into severe eclipse once Ferdinand's wife, Caroline, got a place on the council of state; there was a revolution in 1799, then a French invasion in 1806, then a restoration in 1815, and so forth, into the new century, leading up to the unification of Italy in 1861. Royal palaces of defunct dynasties thereafter became quaint museums. The silk factory, however, did survive long enough to produce cloth and sails for an international market. San Leucio now is home to a silk museum with some original old looms and machinery restored and on display. The social experiment of the workers’ commune, however, far from being quaint, invites comparison with other later utopian communities of the day. And in the post-Napoleonic Europe — after the restoration of the traditional dynasties—the egalitarian principles of the community no doubt invited some nervousness, as well. note: In World War II the Caserta Palace was taken over (in late 1943) by the U.S. Fifth Army under the Command of Lt. General Mark Clark and became the Allied Headquarters in Italy until the end of hostilities in May, 1945. It was here on April 29, 1944, that all Fascist Italian forces (of Mussolini’s residual Italian Social Republic state) surrendered and where, on May 1, 1945, all German forces in Italy signed an unconditional surrender. The large wooded area on the hillside immediately adjacent to the grounds of the Caserta palace on the north was once part of the entire Bourbon holdings in the area. It is the area through which flowed the last stretch of the Carolino Aqueduct (for Charles III) built by Vanvitelli in order to provide water to the cascading fountains of the palace grounds. These grounds were a hunting preserve for the royal family; in the late 1790s, a royal hunting lodge was built on the grounds by Collecini, who had also planned the nearby San Leucio colony (above). That area is now the site of a 76-hectar "Oases" of the World Wildlife Foundation (WWF), one of an increasing number of such wildlife preserves in Italy. (76 hectars is about 188 acres, or, for you city-dwellers, a chunk of land equal in area to about 14 football fields.) The WWF came into possession of the land and opened it as a nature preserve in 1993. Since then, the organization has made considerable progress in restoring the natural ecology of what had degraded terribly over many decades. The WWF center in the Oasis is the former Bourbon hunting lodge (photo, above).